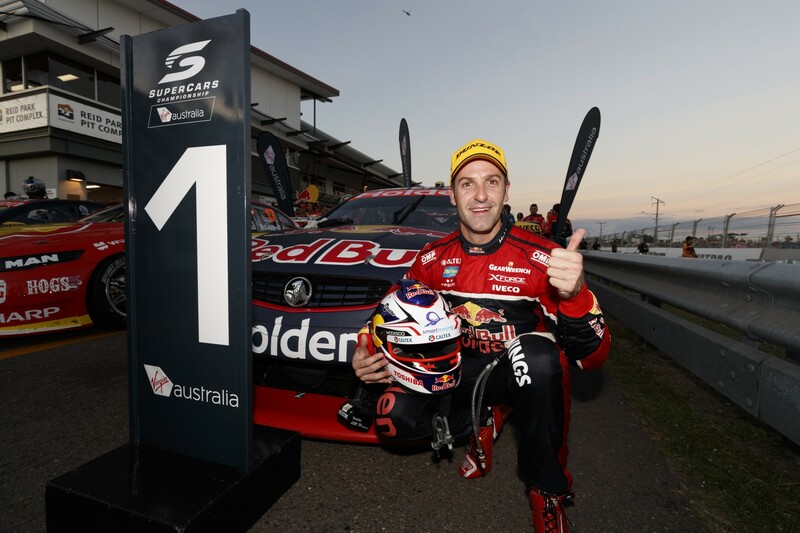 So surmised Jamie Whincup last Sunday, where a 105th career win saw him draw level with team-mate Craig Lowndes at the top of the all-time ATCC/Supercars winners list. 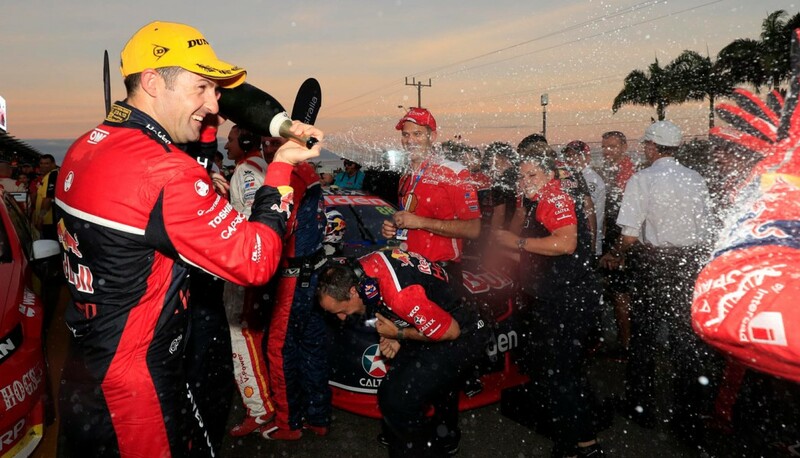 It was another key milestone in Whincup’s march through the record books which in 2014 saw him become the first man to win six championships. 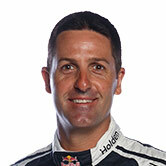 Whincup also stands alone at the top of other key records including most pole positions (74) and podiums (177). Whincup’s journey to greatness has been well documented, with a horror first season at Garry Rogers Motorsport resulting in unemployment at year’s end. The young Victorian resurrected his career with a 2004 enduro campaign at Perkins Engineering and a solid full-time season a year later with Tasman. Particularly strong drives in the 2005 enduros saw him picked to take up the second Triple Eight seat alongside Lowndes the following year, beginning a golden partnership. 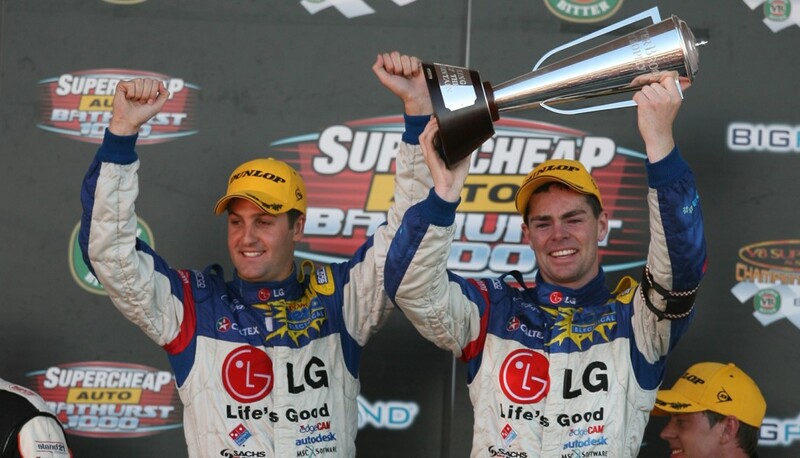 Lowndes already had 58 wins and three championships to his name at the start of 2006, where the duo opened their pairing with a win apiece at the Clipsal 500. 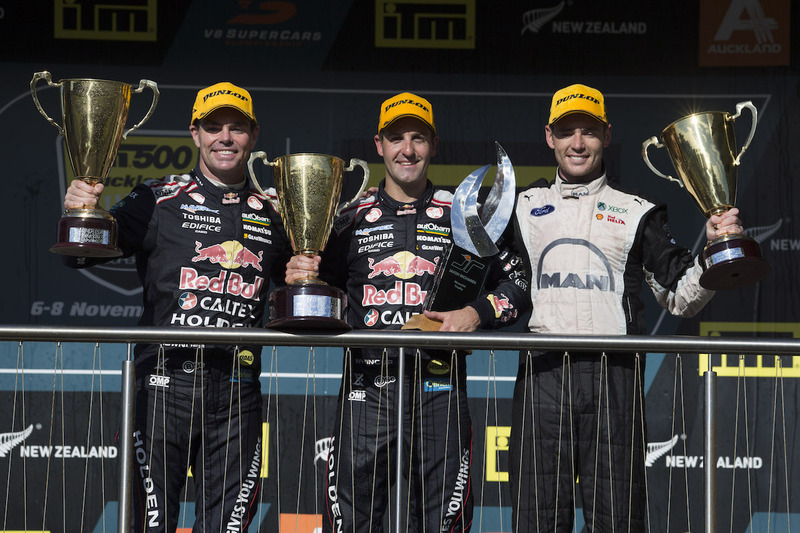 Four of their wins – three Bathurst 1000s and a Sandown 500 - were achieved together before the rules changed to stop primary drivers from teaming up in 2010. Take a look back through Whincup’s road to the all-time win record with his complete list of victories. 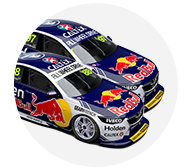 Highlighted are the 10 Whincup nominated as his best on the eve of his century last year, as well as his latest in Townsville. 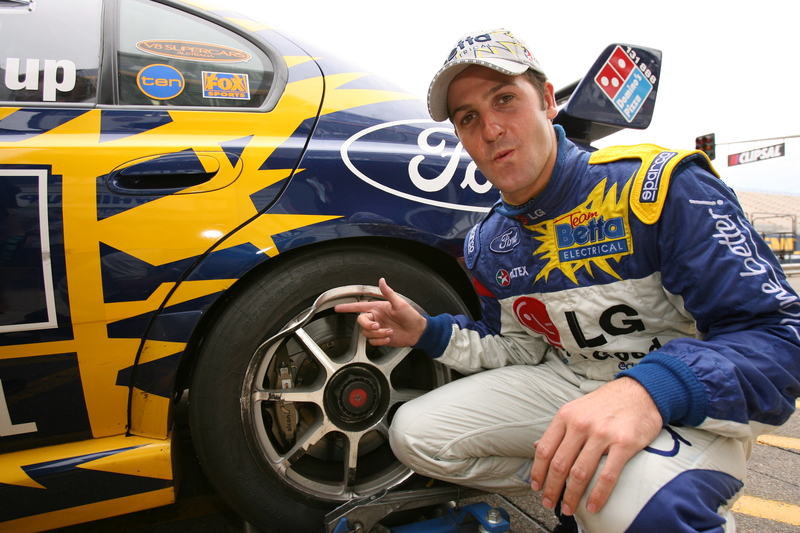 “I’d worked very, very hard to get in the V8 Supercars category and then I lost my drive in ‘04. It was very hard to get back in 2005; I worked extremely hard to join a team that could win races. So to run that rollercoaster and finally get to a team that could win races (Triple Eight) and then win on debut on the Sunday – win one of the biggest events of the year – that’s right up there (with my best). “There was a bent rim. I passed Dean Canto at turn four, we clipped, bent the rim, the rim was so badly damaged the tyre should’ve gone down – we should’ve not finished that race. But somehow the tyre stayed up and we’ve got that rim at home in my living room." “It was an emotional day – probably more so for my team-mate Lowndesy. There was big debate whether he was going to start the car or I was going to start the car; he was an emotional wreck just before the race. He elected to start the car. “I felt like I certainly played a role that day, got the car to the lead and handed over to Craig to do his thing – he was unbelievable in that last stint to come home. 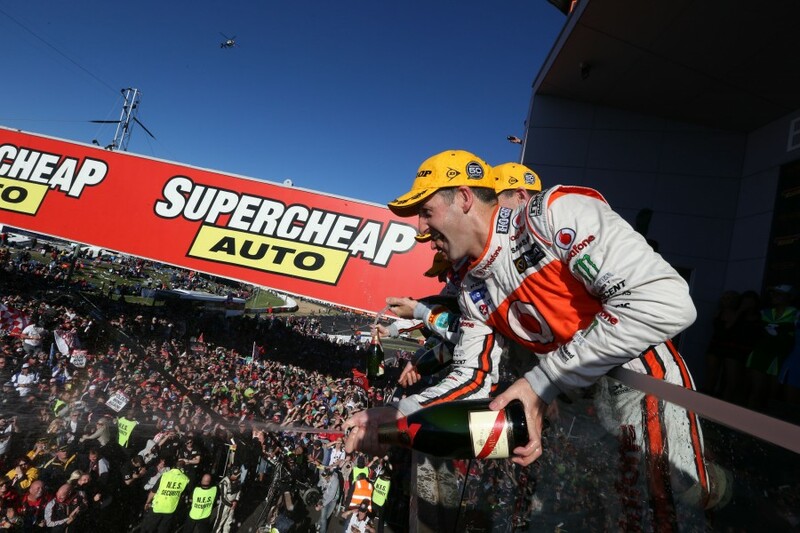 “It was an emotional day for everyone involved and it was my first Bathurst win as well so that made it extra special." 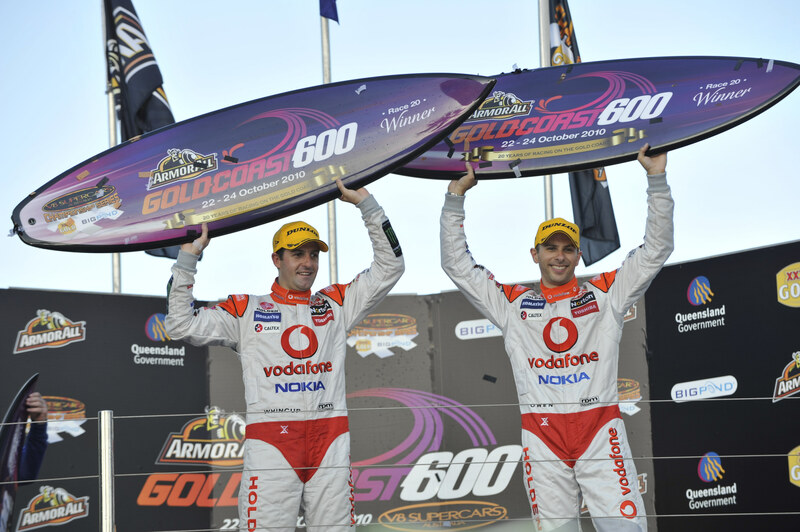 “My first championship win – I came very close in 2007 with Garth (Tander). “I wrote the car off at Hamilton in 2008 and pretty much dropped a round. We battled our way back through all year, so it was an unbelievable feeling to cross the line in that first race on Saturday. “This was the big controversial Ford to Holden switch which was just unknown in that era. That was the big news, that Triple Eight decided to do the big switch. 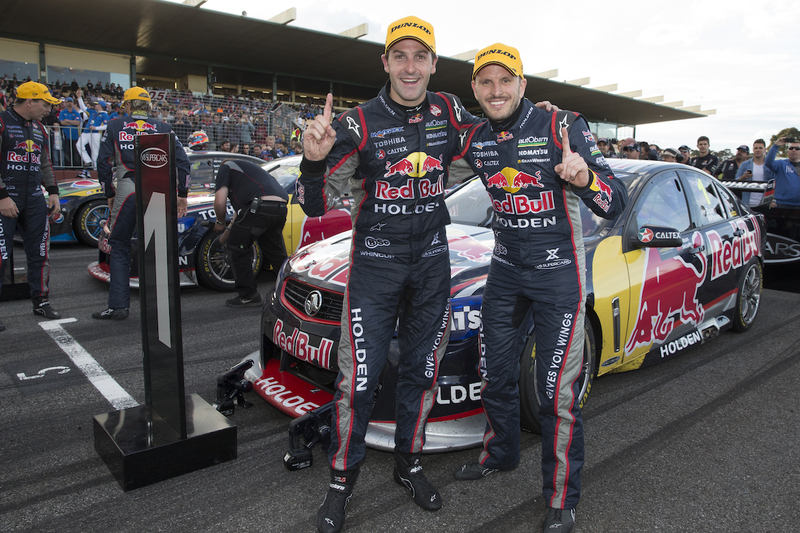 “That epic battle with my now new team-mate Shane van Gisbergen. "I worked pretty hard and the Gold Coast is a pretty special event for me because it’s my home event. I wanted that more than anyone else and did what I felt like I needed to in a car that was running out of rear tyres at the end of the race. "It was the 50th year (of the Bathurst race), coming on to the end of the Vodafone era that was quite significant for all of us. 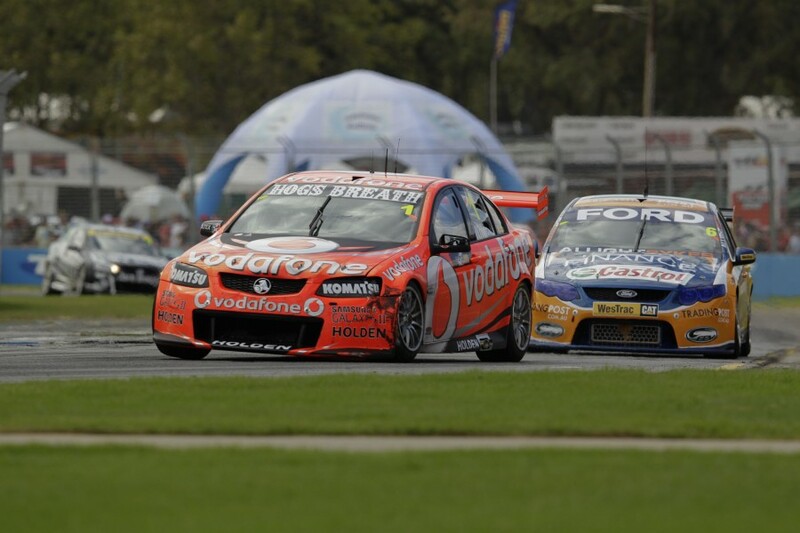 It was coming towards the end of that generation of car, which was what V8 Supercars was all about – Ford vs Holden. “It was the first time I’d actually crossed the line at Bathurst … in a crazy fuel race with David Reynolds. 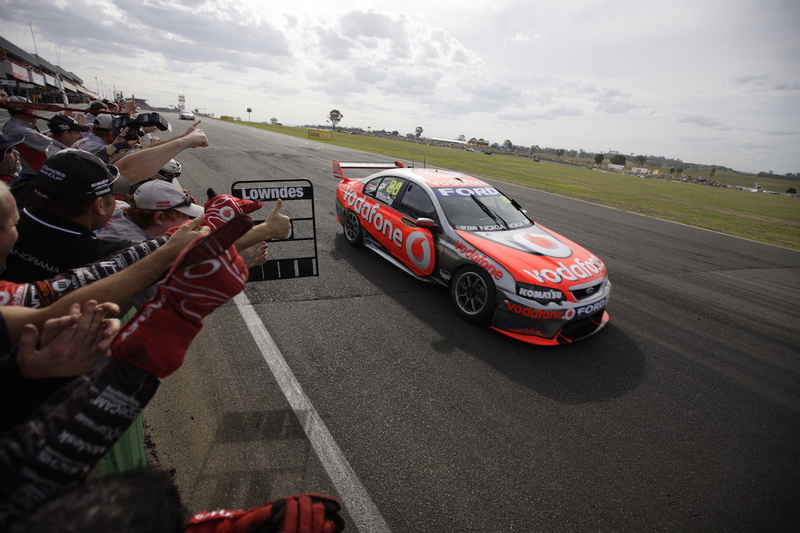 “One of the great stories of my time in V8 Supercars and at Triple Eight. We speculated there were issues with the car, it was all hands on deck for two weeks before the event, burned the midnight oil. “Roland committed to a new car, which is a massive cost and massive deal … and then for the guys and girls to just do a stupid stint to get the car ready. 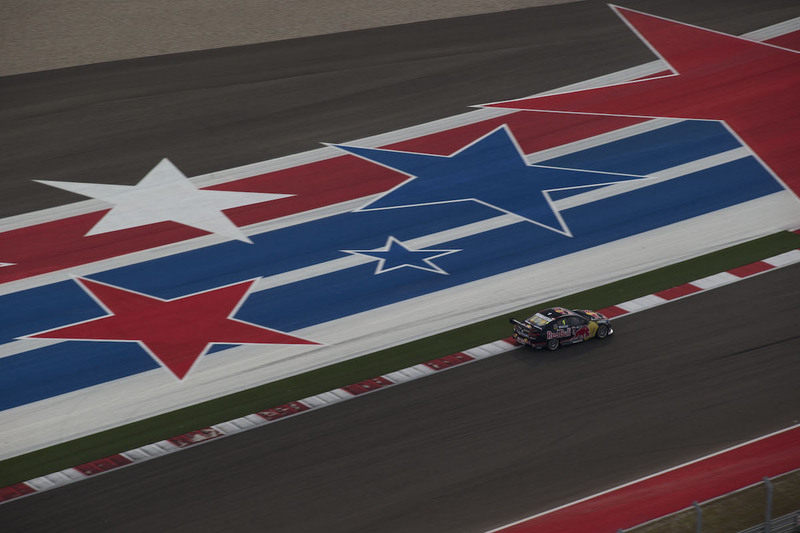 “We got a drive-through penalty in the middle of the day, and then came back and won the race. As I said, that’s been one of the greatest stories I’ve ever been involved in." “It’s obviously up there (with my best wins). It’s highlighted because I haven’t had a victory for a long time. “We had a good car. It’s a little reward for the dedication that’s been going on behind the scenes. We’ve unfortunately had no social life, grinding it out trying to make our cars faster.